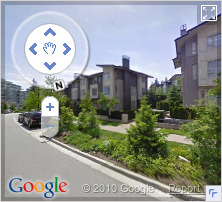 Serenity is the first town home development built at Simon Fraser University (SFU). Built in a gorgeous setting and designed with any demographic in mind, this is a versatile complex offering something for everyone. Serenity town homes were constructed by Polygon Homes in 2004 with wood frame, rainscreen technology, sloped roofs, plenty of green common areas, Hardie Plank exterior and original 2-5-10 year warranty. Serenity Town Homes one hundred and thirty two units are comprised of two bed and two bath single level town homes of approximately eleven hundred square feet ranging to four bedroom, two thousand plus square feet homes with multi-car attached garages and potential for nanny quarters. Serenity has been designed with true sustainability in mind, Simon Fraser University's (SFU) first high density complex appeals to families desiring private gardens, playgrounds, secure underground parking all at an affordable price point and with all the perks of UniverCity living. Each home features granite countertops, tiled backsplash, stainless steel appliances, gas stove, fireplace and private lawn space. Serenity is minutes from transit to travel to Vancouver, Burnaby, Coquitlam and Port Moody. If you choose to drive access to Highway 1 and the Lougheed Highway is quick and easy . Being part of Univercity, it is walking distance to the numerous shops, services and restaurants of High Street Village Centre along with recreation facilities and hiking trails. 40 9229 UNIVERSITY Crescent Burnaby V5A 4Z2 : Simon Fraser Univer.